The Canada Africa Partnership Ride is an annual fundraising bikeathon hosted by the CAP Network supporting a variety of community development projects in African communities. Riders engage their own networks as sponsors and can choose which project they would like to support with their efforts. 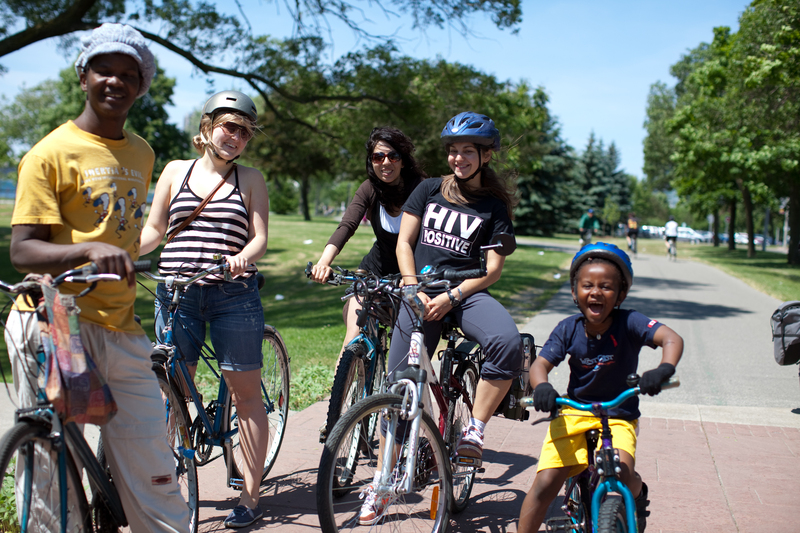 The Canada Africa Partnership Ride has been hosted annually since 2005 (formerly the Bike2CAPAIDS/AIDS Ride 4 Africa). Over the years, these bikeathons have generated more than $280,000 and have engaged more than 1,150 participants across the country. All funds raised support community based projects in a number of African countries and have supported projects, for example, that focus on: education, health, HIV/AIDS, food security, transportation, livelihoods and youth programming. We invite you to join us in Toronto this year for the second Sunday in June. We hope you will join us and ride in solidarity with African communities, again, or for the first time. If you are part of a group or organization raising funds for projects for communities in African countries, and would like to register your group – please send an email to christine@capaids.org to receive information and click here for Partner Registration forms. Groups and organizations supporting projects in African communities are encouraged and invited to ride for your cause. 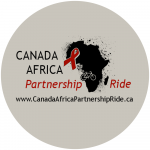 Visit the Canada Africa Partnership Ride web-site and register, choose who you will ride for and begin friend raising for change! Last year the CAP Ride took place in Toronto at High Park and raised over $20,000. Funds were distributed to the Home of Hope in Northern Uganda who connected vulnerable and orphaned youth with training and inputs to increase livelihoods and food security. Village of Love raised funds for Kijiji Cha Upenda in Kibera, Kenya supporting families caring for AIDS orphans. Enheed raised funds for its diaspora youth internship placements in Ethiopia. Bridging Worlds Through Music supported music education programs in Geita Tanzania and, lastly, Rainmaker Enterprise raised funds for sustainable water projects in South Sudan. Join us this year, whether it be your first time or your tenth, and ride with and for others: ride for sustainable development, for health, for education, for livelihoods! The bike is an empowering tool, get on yours and make a difference! Copyright © 2019 Canada Africa Partnership Network. Powered by WordPress. Theme: Spacious by ThemeGrill.